On this episode we sort out the MVP race. As we witnessed this year, three incredible players had three incredible seasons. Russ averaged a triple double...for the third straight year. Giannis took it up another level, dominating both ends of the floor and leading Milwaukee to the best record in the NBA. And then there’s the dominance of James Harden. He averaged the most points on a season since MJ’s 37 in 1987. He went for 60 twice and 50+ seven times. All three are deserving in their own ways, but there can be only one MVP. For Agent Zero, the choice is the Beard and he tells us why. On this episode, we get into the rookie of the year race. It’s one of the closest to call in years. Actually, this year’s rookie class has been all around fantastic, but clearly it comes down to Luka Doncic and Trae Young. Luka jumped out of the gates, playing at a high level and showing that his game would absolutely translate from Europe. As for Trae, he answered the doubters with his dynamic playmaking ability, scoring talents and delivering in the clutch for the Hawks, especially on the back half of the season. Thanks to a draft day trade, these two will always be linked together, and after this season both will have their teams hyped to build around their young rising stars. So before the award is handed out, Gil makes his call, and of course has good reasons. On this episode, we get into the game within the game. When we hear from players, we want to know what makes them tick, what they’re thinking and of course the stories. But what about how they watch the game? We are they seeing? What gets them hyped? And what bugs them? For Agent Zero he of course has one-of-a-kind perspective on the game. When it comes to garbage time, it’s not something we should just disregard until the buzzer sounds. No, for Gil he thinks it’s a time for players to make the most of their opportunity. He sees it as a time to prove yourself, to be aggressive and to hold nothing back. As for the coaches that preach sportsmanship and players who may be padding their stats, he’s got some thoughts on that too. On this episode of the No Chill Podcast, we catch up with Shareef O’Neal. The last time we saw him, he was about to kick off his freshman year at UCLA. After a dominant high school career, a heart condition and an intense surgery put basketball on hold. Reef catches us up on his surgery, the recovery and how he’s been spending the time in between. The good news, he’s about to get back to basketball. He tells us how he’s using the down time to look at the game differently and enjoy college. He also shares how his dad has guided him through this chapter and what kind of advice not only Shaq given his son, but what other greats of the game have offered Reef. On this episode, Swaggy P himself, Nick Young returns, once again with a lot to say. If we know anything about Gilbert and Nick, they go way back, and they’ve been going at each other since day one. Frenemies, brothers, teacher/protege...whatever you want call it these two are destined to be linked together forever. This time around, Nick lets us know what he’s got his eye on in the league this year, what he’s getting into next and what it takes to have true swag. Also, with Gil’s recent BIG3 news, could we see these two together again on the court? Before that happens, we do know these two are in the gym together, so it’s about time we know what they’re working on. On this episode, get on board to experience the ride that it is to be an NBA player. We’re joined by Michael Carter Williams, whose basketball journey is truly unique one. After being selected 11th overall by the Sixers, Michael had a breakout first season and was named Rookie of the Year. You would think things could only blossom from there. He tells us just how it can change in the blink of an eye. Trusting the process doesn’t work out for every player, and beyond ability, it comes down to fit, timing and opportunity. Rebuilds, salary caps and injuries are all factors that most players don’t have on their radar when they’re going out and competing. Gil also points out that you have to expect those changes at all times, that’s the constant. Also, when you’re in the middle of it, it takes a singular focus. For those of you looking to see Agent Zero in action again, we’re one step closer. The one-and-only, Ice Cube, comes through to talk about his attachment to basketball. We hear from a hip hop icon, first hand, why rappers always want to be ballers and vice versa. He also shares his perspective, as a lifetime fan of the sport, on how to put on a show and the big personalities that have made the game great. All this talk gets Gilbert thinking and things get real. Now we know he’s been in the gym, getting in shape and getting his shots up. So when Cube talks BIG3 and the vision of his league, Gil has a few things in mind for an Agent Zero/BIG3 takeover. The game may never be the same. On this episode we pick things up in the aftermath of the trade deadline. For the players that moved and those that didn’t, there 9is the fallout of finding yourself on a new team or refocusing after being a subject of rumors. For the media and the fans, we love the gossip...who’s offering up who, who wants out and the back stories from behind closed doors. Once the dust settles, we get to see how things pan out on the court. As Gilbert tells us, players have to be able to deal with the chatter and work it out themselves. We often hear the phrase “it’s a business.” From the side of owners and the front office, this is the time of year when business can overshadow the competition. With that in mind, we figure out who really won, what it all means for the rest of the season and also the monster free agent group this summer. On this episode, skill development specialist, Olin Simplis comes through to give us a look at what has become a must for players to keep their edge. Having a skills coach in your camp is the way they are able to evaluate their games and build on their arsenals. Working with players such as Spencer Dinwiddie, Shai Gilgeous Alexander and Bismack Biyombo, Olin has made a name for himself, connecting with guys who range in their skill sets, but all who share a rare desire and drive. Just like a boxer has with their trainer in their corner, guys like Olin wear numerous hats from mentor, psychologist, family member and bad cop. The proof of the progress is what we see in the on-court results. For Olin, it all comes down to connection. Once that’s in place, his message can get through and the real work can take place. As Gilbert agrees, it is so important for a player to always remain confident and know how to get to their comfort zone at all times. You’ll find out from both Agent Zero and Olin, exactly how that happens. On this episode we’re joined by the two-time champion, nine-time All-Star and MVP, Kevin Durant. Kevin and Gil go way back to Agent Zero’s days in DC when KD was a young, up-and-coming hooper -- that’s Seat Pleasant and the DMV. We learn Kevin slows the game down, and when he put it all together to be effective at the highest level. He also takes a minute to acknowledge where he’s at in this window of the prime of his career. More importantly, how he’s playing with true happiness. We also find out what it’s like to get every team’s best shot, and also how to keep your focus when you blow them out. And what we’ve always wanted to know, how they decide in the huddle who gets the last shot. For Kevin and the Warriors there is a different level of sacrafice that comes with the territory, which is maybe what we should appreciate most about their dominance. For Gil and Kevin what they have in common is the priority of basketball over everything. With that in mind, how they approach choices players make not only in their careers, but also their lives. Make no mistake about it, the money and the status is major, but the championship is the ultimate dream. On this episode we’re joined Blake Leeper. Blake is an eight-time Paralympic track and field medalist who is on a mission to compete in the 2020 Olympic games. We learn Blake’s story of how being born without legs below the knees has never slowed him at anything. Actually it’s only pushed him to refuse to allow any obstacles to stop him. Along with Gilbert, we explore what makes truly great athletes want to push the limits and keep raising the bar beyond what others before them have set. It’s something that we can all relate to, where at times we’re going to get knocked down and times when we’re going to fail, but it’s having the character to pick ourselves up from failures and use it as fuel to succeed. So get ready to find out what it is within true competitors to take on they’re the challenges they’re dealt and what it is that drives them to the next level. On this episode we get back on the court to explore the art of shooting with one of the best teachers in the game, Chris Matthews, aka the Lethal Shooter. Along with Gilbert, a player who made his name on taking and making big shots, it’s a discussion that examines the elements of what makes shooters great. What we know is this, great shooters are made not born. Of course it starts with mechanics, but mechanics that work for you. Once technique is established, shooting is crafted through work ethic and reps...your time in the gym. Furthering the conversation, we find out that the best we see on the court are supremely confident, while also possessing unbreakable concentration. Above all, going inside the mind of a couple of shooting masters...it comes down to mindset. On this episode, we’re in the gym once again. The plan was to examine the finer points of skill training, but just before we started, Agent Zero was in the mood for some competition. For the first time in a long time, we find Gilbert Arenas going at a live defender, full speed and digging into his bag of tricks. Just in case you were wondering...yes...he still has it! So while we get to see the Hibachi cook once again, skills coach Travis Nichols of TNT Training, along with former Winthrop hooper Gideon Gamble, focus attacking a defender in the midrange, finding driving lanes and working against contact. This is an inside of inside looks as we jump in on a workout and examine how elite level players get to their shots. On this episode, we dive into the world that exists for athletes outside of the arena. We’re joined by the 14 season veteran, championship winner and a guy who weathered storms on and off the court, Matt Barnes. Gilbert and Matt, are two guys who established themselves as pros, while also figuring out how to walk the line and live the life. For young guys, they share some wisdom as to how to keep things in perspective and how to prioritize your life as a pro. They also look back on their era, how social media and celebrity culture have only magnified the expectations on an athlete. It’s a unique lens these guys offer a look through and a side of the game that really is not shared enough. On this episode, Nick Young joins the podcast. For Gilbert and Nick, they have one of those friendships that is part brotherhood, part rivalry, and flat out hilarious. We run it all the way back to when these to Valley kids were first introduced in DC in 2007. Before he was Swaggy P, Nick was taking under the wing of Agent Zero. It formed a unique bond that take them through their careers and into some wild times on and off the court. These two are there for each other through thick and thin, have some stories to tell and then some. On this episode, we take a look at the ways in which a great scorer can be effective. When it comes to offensive skills it is the combination of work ethic and natural ability. Currently in the NBA, individual skill is at an all-time high. We run through scoring talent and the attributes -- off the dribble, pure stroke, off movement and clutch moments -- and who has some of the best of technique we’ve ever seen on the court. Taking it further, Gil concludes that it all comes down to confidence. From one of the coldest bucket getters ever to do it, Agent Zero takes us inside the brain of an offensive mastermind. Be sure to catch his train of thought when it comes to being in the zone and taking the last shot. For the Hibachi, there’s no such thing as good defense, because there’s always better O. On this episode of the No Chill Podcast we get take a look at the importance of chemistry for an NBA team. Whether it’s knowing who’s supposed to get the ball in crunch time, fitting in on a roster or finding the right blend of veteran and young players, it’s all about how their egos work together. From how the Warriors will make it work this season as free agency questions loom, to Melo’s failure to launch in Houston and what Jimmy Butler left behind in Minnesota, there’s been no shortage of drama in the early part of this NBA season. Agent Zero has some ideas as to why it’s on the star player to take control, but more importantly why there always must be an alpha dog in the locker room to determine who’s running things. In some cases it’s clear cut, but Gil points out how more often than not, isn’t always the superstar that has the most command. On this episode of the No Chill Podcast, we dive into what it takes to play in the college game as it compares to the pro level. So far this season, Duke looks it has a all-time team. With this dynamic, young Blue Devil team turning heads early, we’re also being introduced to a new Coach K. As for Zion Williamson, he has exceeded early expectations, but Gil has a some questions about his game translating to the NBA. We also take a look at the option of a year in the G League with an $125,000 contract for top prospects, as opposed to a year in college. Is it actually a good deal? Or are you better off on campus? Speaking of staying on campus, we look at the return of LaMelo Ball to a high school squad. For Gil, it is the right move by Melo to stay on track to the NBA. If and when he gets there, what kind of player will he be? On this episode of the No Chill Podcast, we take a look at NBA coaching. For Gil, he’s got a lot on his mind about what makes a good coach and why superstar players generally DON’T become head coaches. But he thinks more should. For players, they want a coach that will listen and more importantly, adapt. We take a look at some of the best systems and why they work. Also, how players benefit from pairing with the right coach for their style of play. After that, Gil introduces us to the Agent Zero Academy. It’s something that he’s been working on for a while, watching the game and the development of players. He explains the platform, how it works and why he felt the need to launch it. He explains his approach and mindset to skill development, the work ethic needed to level up, and how exactly to become an all-everything scorer. There have been some eye popping and some head scratching moments to start the NBA season. With all eyes on the Lakers, Gil’s got a few ideas of how to get it right with the players that they have. After the drama that led to Kawhi Leonard’s exit from San Antonio, he’s showing us why he’s so damn good in Toronto. For Agent Zero, he wasn’t sold on Kawhi before, he just may have changed his mind.From there we run through some of the breakout, slept on and high ceiling players that look good early. Gil explains why things are clicking for guys like Zach LaVine, Kemba Walker and De’Aaron Fox. On this episode, we get into power ranking the top teams in the East and the loaded West. Gil cuts right to the chase, letting us know who he thinks is coming out of each conference and why. For other teams, there’s plenty to look forward to and for us fans, plenty to watch for. How will Kawhi play in a new system with the Raptors? Will Giannis finally get some support in Milwaukee? Does the LeBron have the Lakers in contender mode already? We also get into the breakout teams and breakout players poised to step up this season. For Gil, it comes down to development and who has it all together to take things to another level. For teams like Detroit or Denver, they could fail to get off the ground, or just might surprise us all. Before we go, Gil gets into his age theory, where he favors a younger player with upside as the better choice as opposed to the ones that peak early. From there we hit on some MVP candidates to keep an eye throughout the year. On this episode of the No Chill Podcast, we get hyped for for the start of the basketball season as Gil takes us inside what players of all levels need to be focused on for training camp. We get into how when players return to their teams from the summer, it creates an ultra competitive environment with roster spots on the line and positions on the depth chart up for grabs. Gil explains why the best want a shot at the best, not only to find out how they measure up against each other, but to also make themselves better. Every team, from the those in a rebuild, to those coming off a tough playoff loss or even defending a championship, there are pressures and narratives that can make or break you...starting in training camp. On this episode of the No Chill Podcast, we’re back in the gym, as Gil jumps in on a skills workout. From the mentality you should have stepping on the court, to the mindset it takes to not only build on your skills, but to also translate the technique to game situations -- it’s an inside look at next level preparation. Gil is on the court breaking down the training details as you would want to learn from a player who knows how to be effective at the highest level. He also explains the approach necessary to work from being an average player to an exceptional player. It really is in the desire, the work ethic and learning from your training sessions that will translate to making in-game reactions second nature. For both players and coaches, Gil offers up teaching and learning points to make the skill work “next level” effective. As the session finishes, Gil points to the work you should put in to prepare to go against different looks, different matchups, and ways to out smart the opposition. Then, we talk to Dash about how the role of the skills trainer has been elevated. For him it’s the creativity that takes place in the lab, but that will only happen when a player is ready and willing to develop their game. As Gil points out, it also takes dedication to committing the extra hours on the court that will translate to taking your game to another level. So...there’s a lot to learn on this one, so get your notebook ready as Agent Zero trains the trainer. Hitting court as we go inside Gil’s mind to understand how he sees the floor, reads defense and decides the most effective way to score the basketball. Hibachi breaks down how to get to the best shot against any type of defender, in any game situation. And then Agent Zero explains how he was able to use one play to set up several more on the way to scoring in bunches against some of the best defenders in the NBA. Gil also looks at some of the up and comers like Giannis, Brandon Ingram and Lonzo Ball, and has some ideas for them to add to their games...bringing their offensive production to another level. Episode 3 - Hibachi Time! Gil looks back on his exit from Golden State and his arrival in Washington. He recalls a few other teams that could have been for Agent Zero...and yes, a coin flip to decide his next team. Before he'd figure things out as a Wizard, the Cali kid would have to adjust to the east coast. Once he got comfortable, the takeover was on and a new era was in full swing. He looks back on the team in those first two seasons, the joy he experienced making an all-star team and the story of an all-time great nickname. After two years in Arizona, it was time for Agent Zero to jump to the NBA. Gil recalls who he thought would draft him, before ultimately landing in Golden State. For the Warriors, he'd struggle just to find practice time, let alone game minutes. Once Gil got a chance, there was no looking back. As for his new life as an NBA player, that would be the ultimate learning experience. Before he was an All-NBA, high scoring superstar, Gilbert Arenas picked up basketball in the San Fernando valley parks. Success would not come quickly for Agent Zero, but a habit for taking on the biggest challengers propelled his play. From an overlooked high school phenom to an unlikely star at the University of Arizona, Arenas recalls what drove him and who pushed him along the way, in the first of two parts looking back at his career. 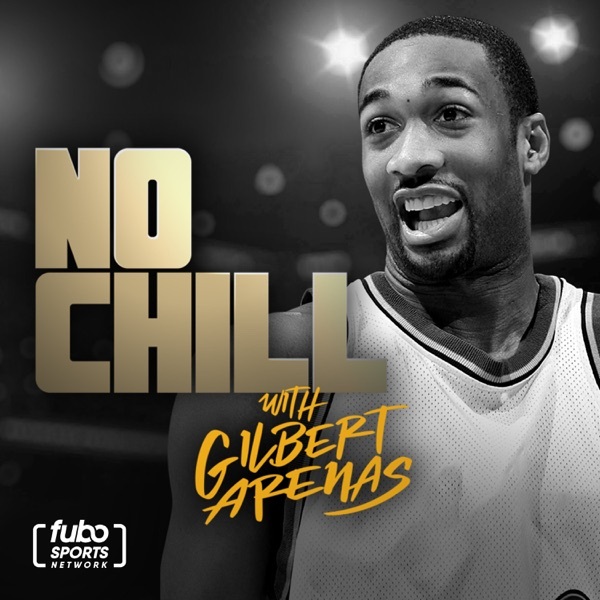 Gilbert Arenas makes his podcasting debut, along with co-host Mike Botticello. Never at a loss for words, Agent Zero makes sense of the NBA Summer. He also offers up his side of the story behind the headlines he made via TMZ and the claims against him. Also, could a return to the court may be in the cards for Gilbert? This episode is brought you by Life Recovery Water.